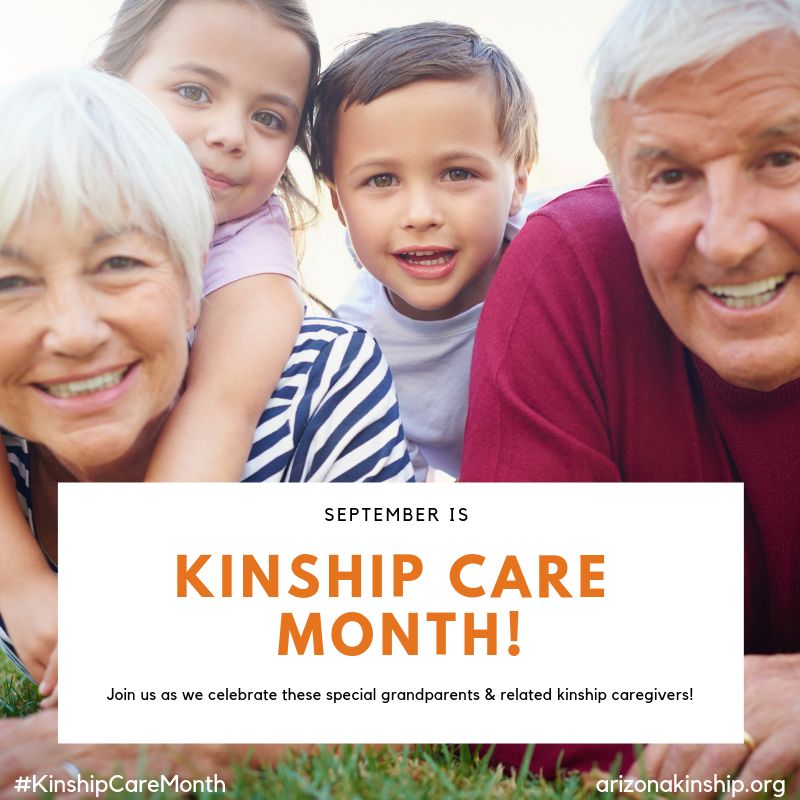 This September we are celebrating Kinship Care Month! 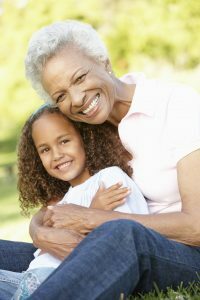 Each year, thousands of children are being cared for by grandparents or other relatives. It’s important to Arizona’s Children Association to celebrate these amazing individuals that step in to provide love and support to children in a familiar setting. Their efforts allow children to remain connected with their families and communities while their biological parents work towards stability. Our programs at AzCA help support these special families to provide a positive alternative to traditional foster care. For the whole month of September, we will be sharing stories of some amazing kinship providers! We hope that you can join us in our celebration and share this social media graphic with your networks to spread awareness and appreciation for kinship families. Another reason we are excited about Kinship Care Month is because our Kinship Navigator Program has been selected for evaluation by the California Evidence-Based Clearing House for Child Welfare (CEBC). The mission of the CEBC is to advance the effective implementation of evidence-based practices for children and families involved with the child welfare system; this means that our program will be thoroughly studied, given a Scientific Rating and compared to Peer-Reviewed research to determine the impact and effectiveness of our practices. This evaluation is monumental for our program as we will be listed on the CEBC registry as a rated model kinship program, one of few programs in the United State! If you would like more details on the California Evidence-Base Clearing Hour for Child Welfare and what aspects of our program they will be looking at, read more here.